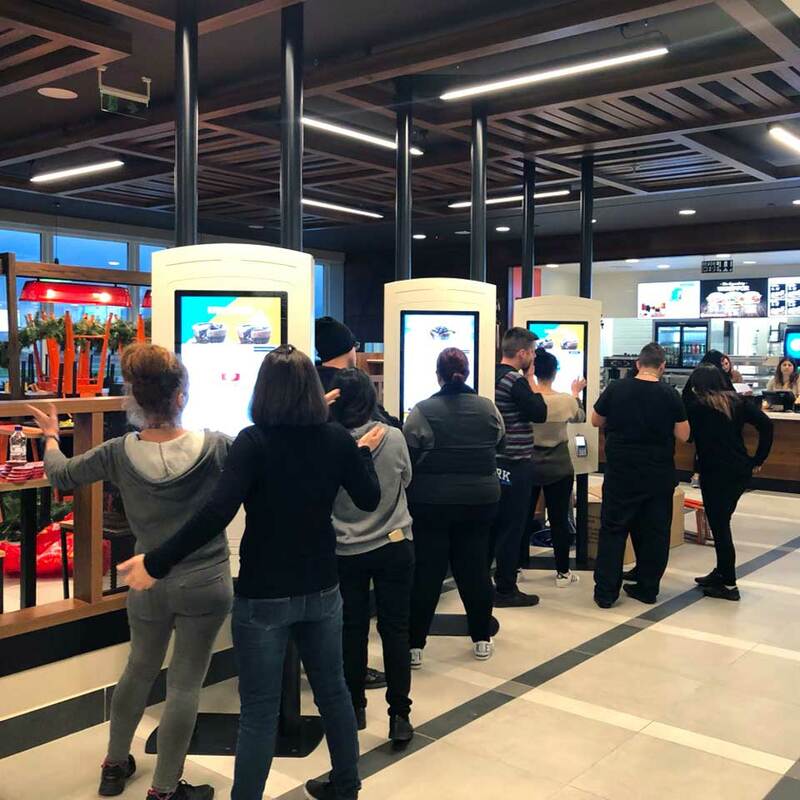 PARTTEAM & OEMKIOSKS products and self-service solutions have won the giants of international fast-food restaurants, this time the unmistakable Burger King in Greece. 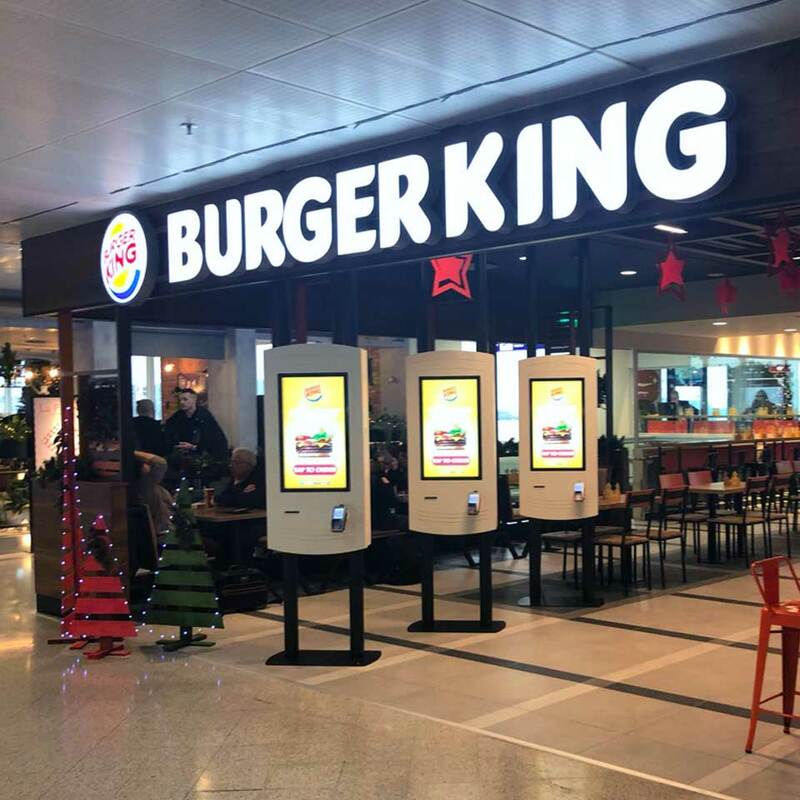 PARTTEAM & OEMKIOSKS is a globally-based company, with suppliers and partners all over the globe, a relevant partner and distributor of Cyprus, arrived at the Burger King chain with the quality of kiosks Made in Portugal. The installation has the NOMYU QSR SU1 kiosks. The preferred option of those who opt for infallible kiosks, of maximum technology and that ensure the full operation of an intensive service and without margin for errors. These are checkout kiosks suspended, with 32" monitors, with integrated payment system and receipt printing. Its functional and minimalist design adds aesthetic value to the space and contributes to the ergonomic and practical operation of the equipment, adapting itself to the wide range of users of the service, simplifying its interaction and accelerating the whole process of orders and payments. Through this innovation, the customer makes his request, being able to customize the various dishes and menus. Having the possibility to choose different means of payment. 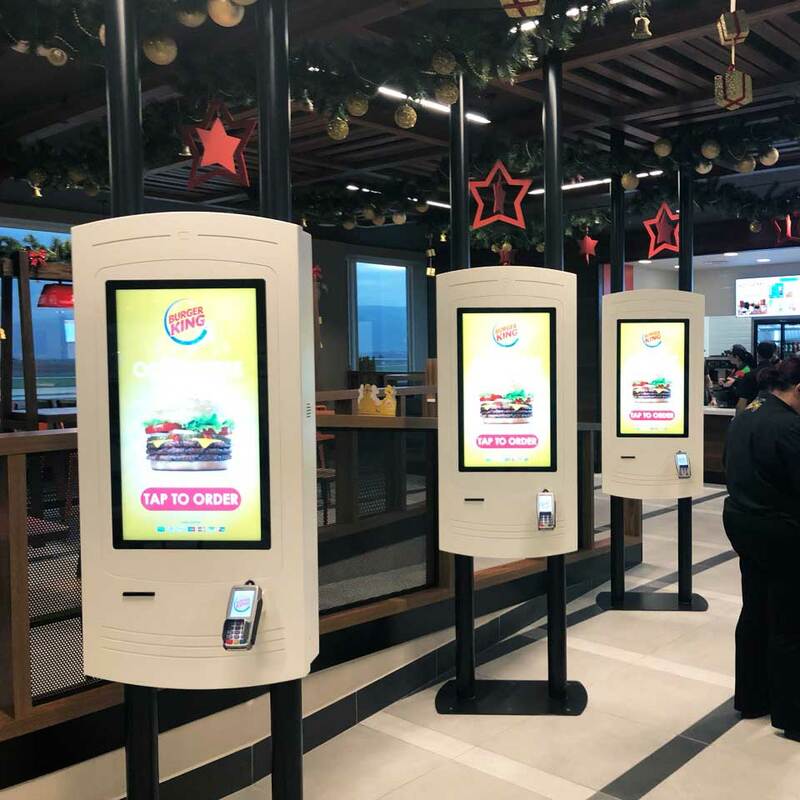 The advantages of these kiosks are numerous and generate several benefits such as: increased sales, high consumption experience, greater precision in orders made, reduction of queues, focus on production and increased speed of shipping of meals. They are, on the other hand, an excellent medium of advertising and communication with the client, allowing the presentation of new products, suggesting the adhesion to new services or to increase the results of cross-selling. QSR kiosks offer advantages to customers and restaurants. This is an indispensable solution to the modernization of these services, which constantly make possible new functionalities, evolving jointly the society and the economy. With many years of experience in the market, PARTTEAM & OEMKIOSKS designs customized solutions for small and large companies that want to modernize, value and evolve their business. Taking care of presenting solutions and products that improve the quality of service and maximize financial return. 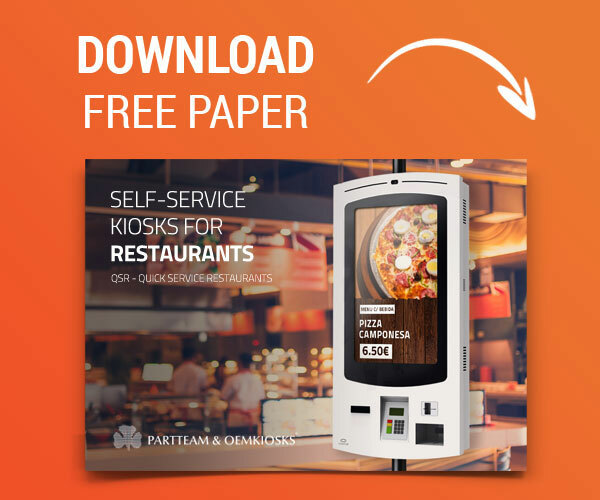 Get to know our solutions for Restaurants - QSR and Self-Service Kiosks. Know more, click here.